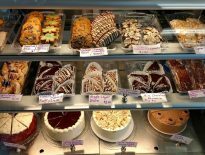 We all know that breakfast is the most important meal of the day, so we are here to help you find some of the best places to get breakfast in and around the Sandbridge area. You may think it is just your typical market where you can buy eggs and bacon to make your own breakfast but think again. 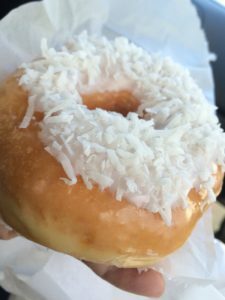 Sandbridge Seaside Market is home of the best homemade donuts in Sandbridge. Made fresh every morning with a variety of flavors to choose from like chocolate glazed, Boston cream, and my personal favorite lemon filled. Not only do they have amazing donuts they also have freshly made muffins, cinnamon rolls, and cornuts. Don’t forget to grab a cup of coffee to wash down all the sweetness, also served fresh daily. You cannot make a trip to Sandbridge without stopping here. Family owned and operated since 1964 and serving some of the best breakfast in Virginia Beach. 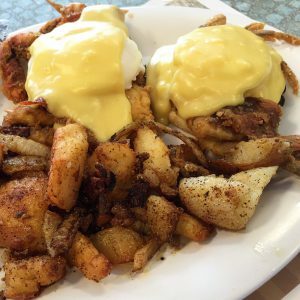 They have your typical omelets, pancakes, and breakfast sandwiches but what they are knows for is their crab meat benedict and soft shell benedict. Served with two poached eggs, a large serving of jumbo lump crabmeat or two fried soft shell crabs, on an English muffin topped with hollandaise sauce. Can you say yum?! Serving breakfast daily until 11am and until 1pm on Saturdays and Sundays. 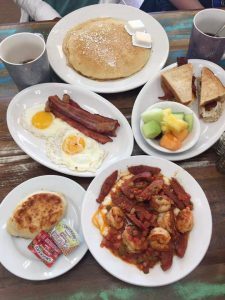 Serving the best breakfast and brunch in Pungo Village. Be sure to get there early because it gets very busy, especially on the weekends! 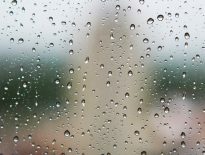 Even if there is a wait, they have made personal touches to make the time go by quicker with a bar serving coffee, bloody marys, and mimosas in the garden patio and games to entertain the younger ones. 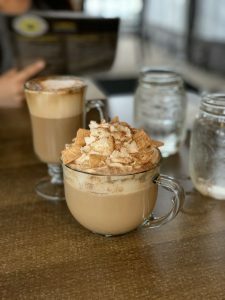 Once inside the menu has so many delicious options to choose from including stuffed French toast, the bay crab benedict, and their specialty cinnamon toast crunch latte. Be sure to order their famous Colossal Cinnamon Roll pan and Bee Biscuit Basket to go. Located only ten minutes outside of Sandbridge, it is definitely worth the drive and the wait! The mission for The Egg Bistro is to convince the world that breakfast is indeed the most important meal of the day. Served all day, every day, and made fresh to order. The menu consists of your typical breakfast items such as omelets, eggs benedict and biscuits and gravy. Want to try something different? 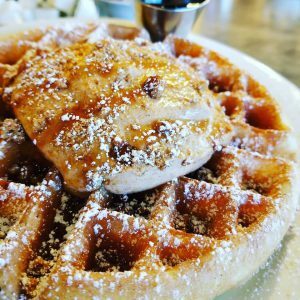 Stray from the normal and order Chicken and Waffles or their Carnitas Breakfast Bowl. Craving something on the sweet side? Try their Infused Pancakes or their Cinnamon & Honey Cronuts. They have it all! Located ten to fifteen minutes outside of Sandbridge, arrive early to avoid the wait and enjoy an amazing breakfast that will keep you full all day long. Home of the heartiest country-style breakfast in Virginia Beach. Here you will find your traditional homestyle cooked breakfast serving classics like country fried steak & eggs, hot cakes, and three egg omelets. Their specialties dishes include Shrimp & Grits and my all-time favorite Homemade Sausage & Gravy over Buttermilk Biscuits. Open seven days a week and serving breakfast until 2pm so the non-morning bird don’t have to rush to get here! There you have it! These are some of our favorite places to get breakfast and ones we often recommend. Is there a place that we forgot to mention that you and your family love to go to for breakfast while on vacation in Sandbridge?